This is me Sarah mum of 3: Alternative Easter gifts - ones that are not chocolate! Alternative Easter gifts - ones that are not chocolate! Easter is really fast approaching but if you are still not sure what to buy your little ones this year then here is a few great last minute Easter gift ideas that are not Chocolate! Easter is a funny celebration for me, and I am never quite sure how much to celebrate, when we were little my Gran always used to buy us something as an Easter gift that was not a chocolate egg, these ranged from small token gifts to very extravagant presents when I was around 15 she treated me to a flying lesson in a light aircraft! But normally it was nice little gifts, small gimmicks ranging from cuddly rabbits to new socks, and as children we didn't really get Easter Eggs from many other people my mum and dad would buy us one, but not a huge massive fancy one like some you see in the shops these days, just a standard cadburys smarties egg or such like, then we'd get maybe one or 2 other small eggs from aunts and uncles. My childhood Easters seemed a good balance, and I try to do similar for my own children, I do buy them chocolate, we often have an Easter Egg Hunt, but I don't like to go overboard on the choclate treats and always like different gift ideas to suggest to granparents and family. I was please to recieve this lovely selection of toys which reminded me alot of the gifts I used to love to recieve as a child. 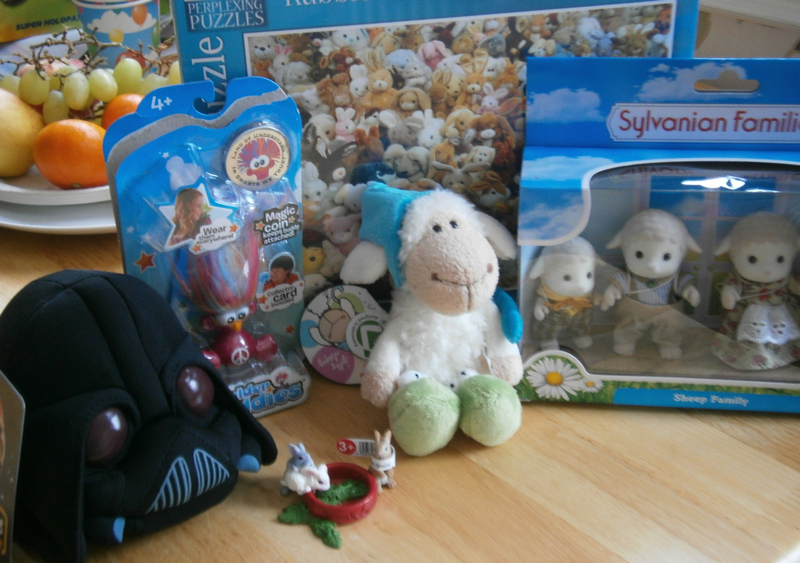 I posted reviews for the StarWars Angry Bird Plush toy and Ravensburger Rabbit Jigsaw the other week, both of which are perfect Easter gifts for the slightly older children, the awkward tweens who do still love toys but are getting abit old for traditional toys and games. Other great ideas for children are little collectable gifts sch as shoulder Buddies, these are loved by my 9 year old daughter. 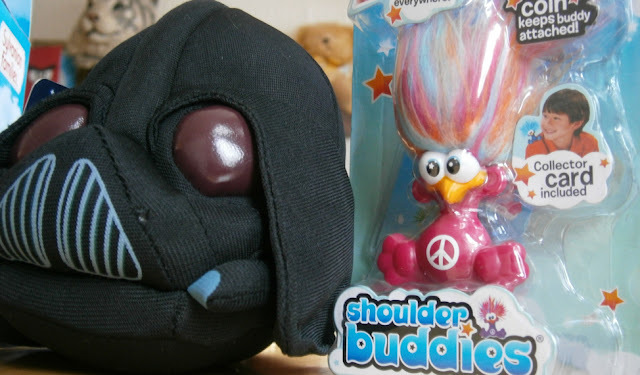 We first heard about Shoulder Buddies back in May 2012, these funny little creatures make a great gift idea, perfect addition to an Easter Basket or a prize in a treasure hunt if you don't fancy all the chocolate! Cute little creatures are much like the Trolls from the 90's with their long hair, but these little buddies are clever because they can connect through clothing to their magic spot, which is a magnetic board. 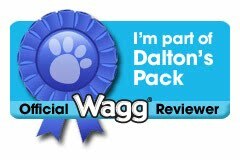 This holds them in position and makes them a great novelty to children. Each Shoulder buddie has their own personality and 'smart' The smarts are little caring mottos. 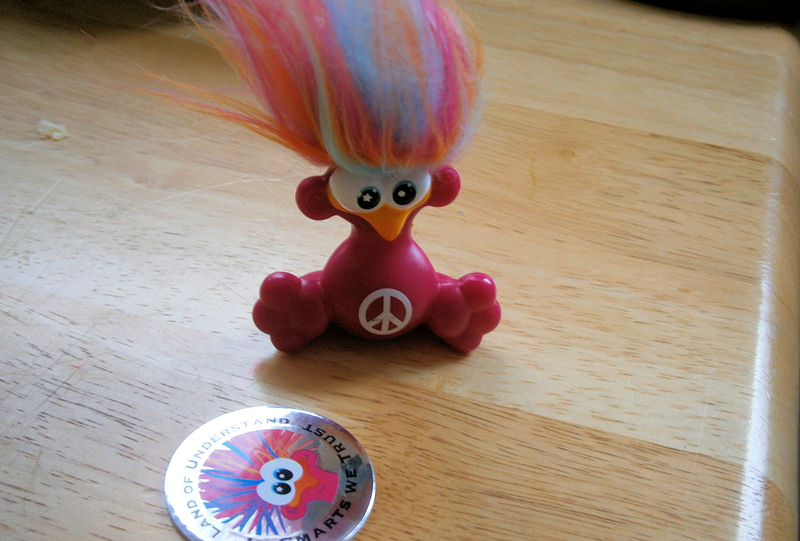 Each series of Shoulder buddies has several different coloured buddies to collect. There has just been a new series released for 2013 and even a hello kitty range. Shoulder Buddies are priced around £5 each and available from most good shops. 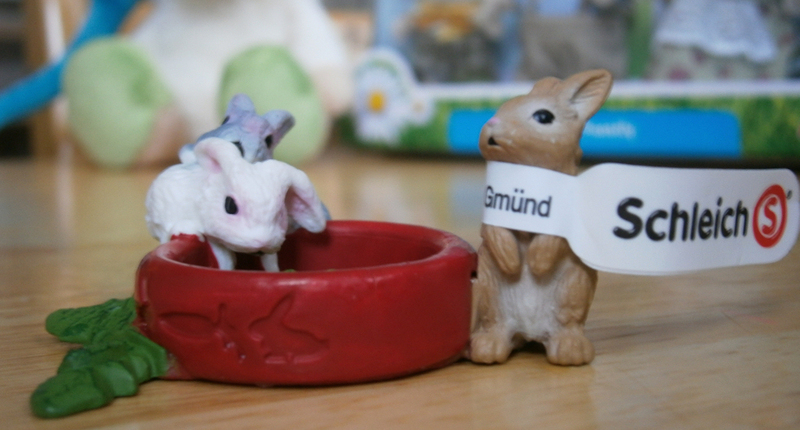 New for 2013 Schleich have brought out a great selection of beautiful farm animals. Included in this brand new selection are swans, goats, playful kittens beautiful rabbits horses and even some very cute boxer dogs! Schleich figures are always well loved by children, tiny in size but big in detail these pocket money and pocket sized toys are classic favourites and can be enjoyed as a one off piece or you can build up a collection to make the perfect visual role playing game. For younger children however a soft cuddly toy might be more appreciated, and these cute cuddly sheep make the most ideal Easter gift. 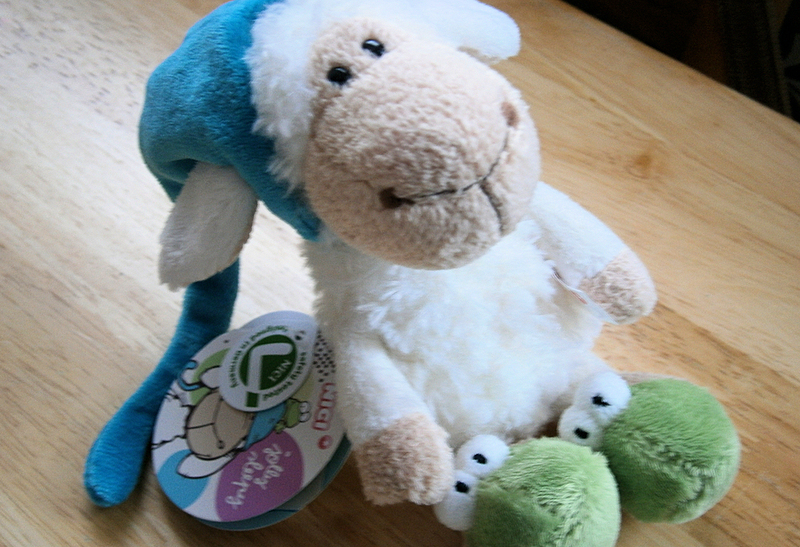 The range by Nici is lovely, they have some beautiful sheep soft toys in their Jolly Mah range, This adorable sheep comes in lots of different outfits, but always has his dangley blue sleepy hat on. He is joined by his friend the cute green frog and sometimes the wolf, Jolly Mah Sleepy Sheep can be found on mugs, backpacks and key rings as well as several different sized cuddly toys. This really is a lovely range and these toys are top quality soft and fleecy they are perfect to snuggle for children from the youngest to the oldest. Sylvanian Failies are such a fantastic range and with them having so many families and furniture sets they make the perfect gift for occasions like Easter where you want to give something which will be loved and appreciated, and you can grow your collection further for birthdays and Christmas. 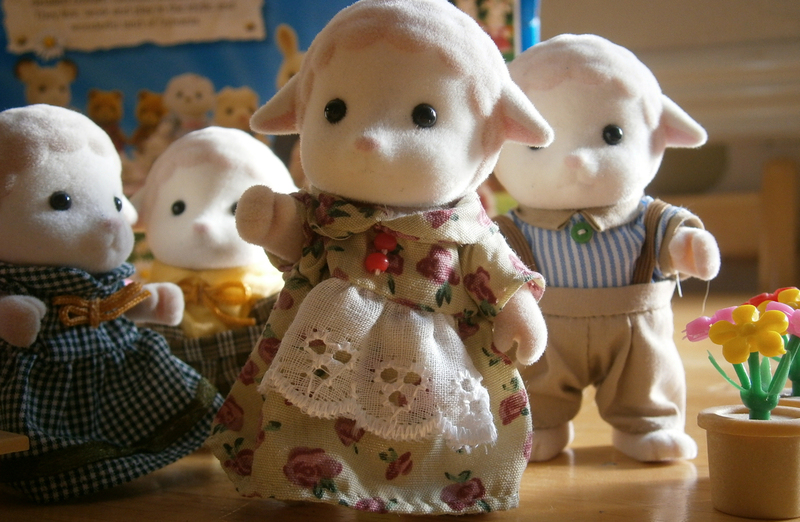 Sylvanian Families have been around for 25 years now, and I still have my old collection, I am pleased to see these figures making a come back and with the same quality and attention to detail as they have always had. The Dale Sheep family would be ideal as an Easter gift, with sheep being so fitting for spring. I love that the Dale sheep family have lots of traditional detail to the clothes and the soft fur that I loved so much as a child. 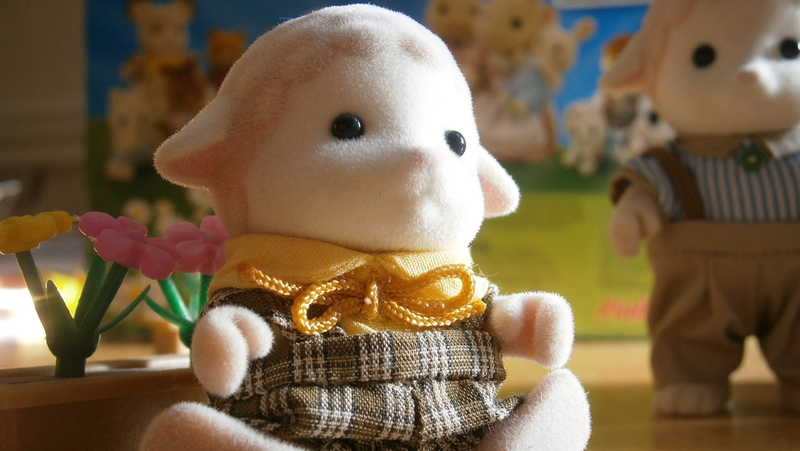 Every detail with Sylvanian Families is thought about and it makes them have so much play factor, all clothes can be removed which children always seem to love to do, and they can bedn at the hips so they can sit down. Their hands have a grip too which makes the able to hold and interact with their surroundings, and the play sets available are always so amazing with lots and lots of individual detaled pieces really giving children the chance to recreate a whole new world. 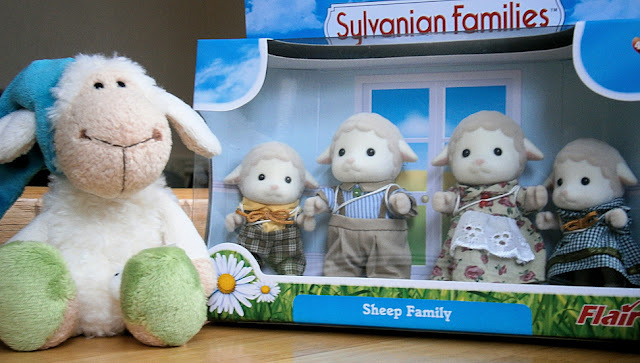 I think I will always love Sylvanaian families, they are just simply one of the best figurines for children. We were sent all of these products to review, I love them all and hope this has given you some last minute gift ideas that will be loved by children, young or old this Easter. OH MY WORD---- it's all so cute and creative!!! 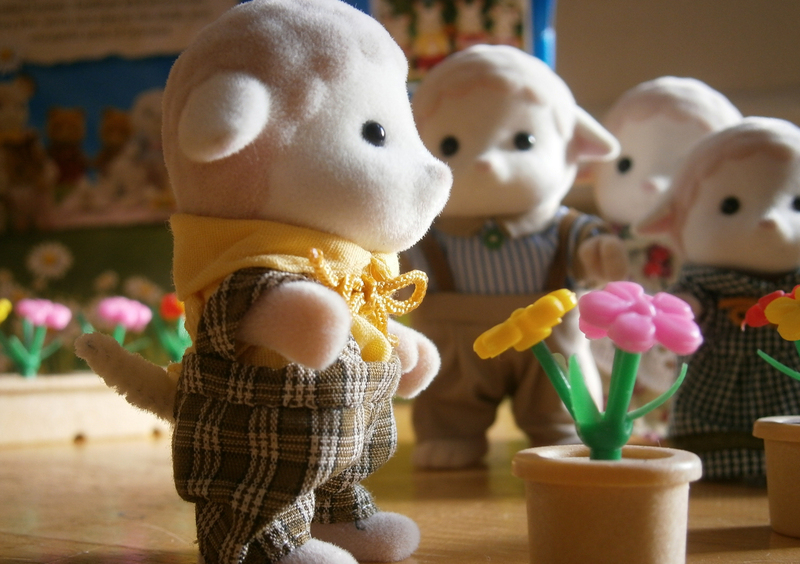 Do you mind sharing where you found the Sylvanian failies?